When you step into a barre class, you might be surprised that the barre is not the sole tool barre aficionados rely on. 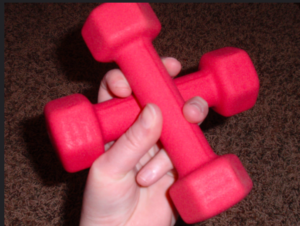 There is workout equipment, or “toys”, that many barre classes incorporate on the barre and away from the barre. The variety of equipment will allow you to add new challenges and variations to your barre routine. Or you could just say that they add an extra dose of fun! We compiled a little bit of information about some of the different workout equipment you might come across next time you head to the barre. No surprise here! 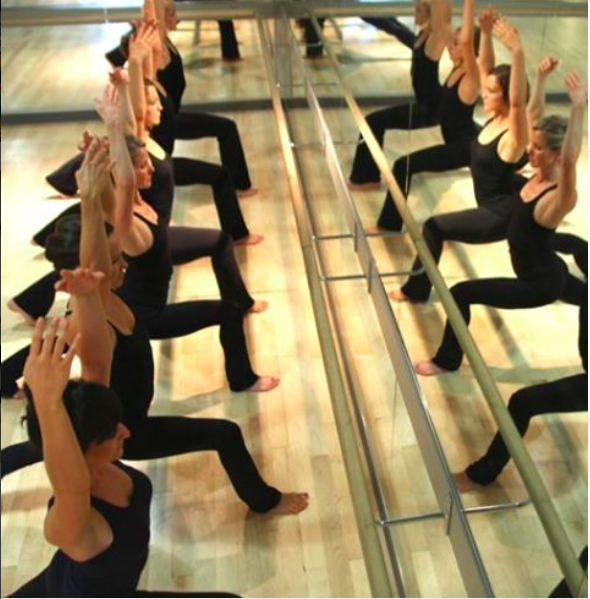 The barre is of course the main piece of equipment that is incorporated in barre class. The barre originates from ballet and is part of a ballet dancer’s warm-up. In the ballet world, the barre gives dancers the opportunity to warm-up muscles and work on technique. 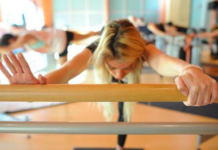 Barre classes are inspired by the strength and precision component of the ballerina barre and use similar movements to create workouts accessible to anyone (including none dancers). Keep in mind though, while class might be called barre, there is plenty of opportunity to feel the burn off the barre or add a second piece of equipment to make the barre work even harder! Trade in heavy barbells for 3 pounds or less for barre. While there is a time and a place to go heavy, barre classes require isometric training. This means that you are relying on tiny movements or holding a muscle contraction to get your workout in barre. For these sorts of movements, you could just use your body or add a bit more of a challenge with weights that are no more than 3 pounds. Even if you are used to lifting heavy, barre will surprise you with how a 3 pound dumbbell can make that whole body shake. Barre loves to surprise us with the unexpected challenges. The ball, a small stability ball, can be used to create extra upper and lower body challenges. Place the ball between the thighs for some inner thigh burning, or hold the ball out long for the best arm fatigue you could experience. Barre is no stranger to creativity in showing us how to use the ball in unexpected ways to work our bodies harder. This also is known as resistance bands. All these bands are elastic, but the simple piece of equipment is diverse and effective. Like much of the barre equipment frequently used, tubing has multiple purposes. 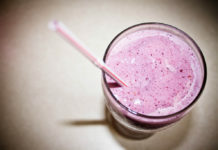 It might be for the outer thighs or it might be for strengthening arm muscles. Do you have any other barre class equipment that you love? What is your favorite piece of equipment that you use in barre class? Let us know in the comments!